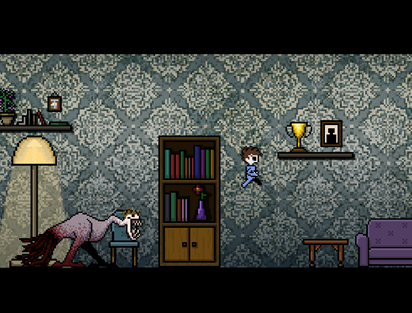 Night Terrors is a 2D horror mini-game that follows the nightmares of a young boy. What secrets lie in his broken young mind? What lurks in the dark corners of his dreams? And How far will you go to stop this tormenting cycle? 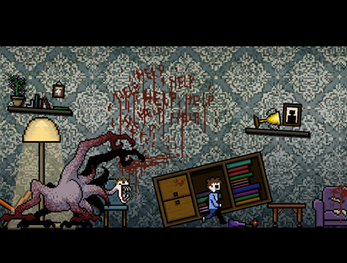 The aim of the game is to survive each nightmare, it's that simple, or is it? Your aim as the young boy is to outrun the monster from your nightmares and reach the end of all of your horrible nightmares. 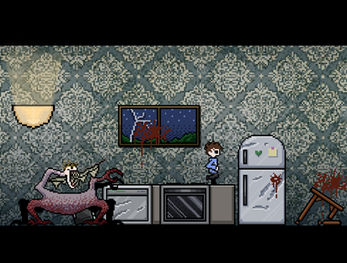 Avoid the obstacles in your home to avoid being knocked back into the monsters grips.